The reality is that with the limited time available to teachers, students are expected to begin learning as soon as classes begin. For a student who kept up with their studying during the summer break, the only challenge will be the more difficult lessons being taught. However, for a child who may not have kept up with their studies or even reviewed their notebooks over the summer break, this can cause problems before the end-of-day bell has even had a chance to sound. Below is a post from The Tutoring Center, Santa Clara, CA about how your child could be struggling this new school year and how tutoring in Santa Clara can help. Hit the Ground Walking, Not Running. If your child spent their entire summer vacation period playing video games or at the mall with their friends then there is a good chance that their brain will have suffered from the effects of the summer learning loss. Put simply, their brain will have forgotten small, yet crucial pieces of information and lessons. This could include small calculus algorithms right through to entire science classes. During the break, of course, this goes unnoticed. However, when the new school year starts, your child may struggle to remember their previous lessons, causing them to furiously flip through their old notebook while simultaneously trying to learn the new lessons the teacher is presenting. As you can imagine, this is an incredibly stressful task and can really affect your child's momentum and self-esteem. Unfortunately, despite their best efforts, this results in students falling behind their classes from the first week. 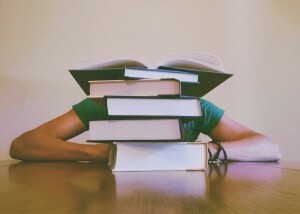 As you can imagine, this not only affects their self esteem but can seriously hinder their ability to perform as well as you know they can when it comes time for exams to be taken. Every student can benefit from one-to-one tutoring in Santa Clara, CA, whether it’s thanks to it helping them to combat the summer learning loss or raising last year’s B to an A+. To find out more about how tutoring in Santa Clara, CA can benefit your child, speak with The Tutoring Center, Santa Clara, CA. Call (408) 816-7825 today and book your free initial diagnostic assessment. During your initial visit, a trained learning professional can answer any questions you have about the benefits of tutoring in Santa Clara, CA and how subject-focused programs can help your child this school year. The first is to provide children, like yours, with any missing knowledge. This could range from helping them relearn a few important math equations right through to covering an entire subject. Between your student and their tutor, together they can work through subject-focused tutoring programs to identify which information is missing and how best to re-learn it. The second is to help them not only see how these older lessons feed into the new classes being taught, but also to give them the opportunity to ask any questions they have about their new lessons outside their classroom and without the time constraints of their regular classroom. With limited time and resources, teachers simply don't have the time to answer all questions posed to them during class. This can lead to students like yours who are already falling behind to fall even further behind. By attending back-to-school tutoring in Santa Clara, students are not only caught up and ready to learn new lessons but are often in a position ahead of their classmates and in a great place to excel during their classes. In addition to being a great advantage to their immediate classes, this can make a strong difference when the time comes to sit exams and complete assignments. If you are concerned about your child falling behind this school year or you just want to make sure they have everything they need to succeed in the more difficult classes being taught, tutoring in Santa Clara, CA can help. To find out more, book your free initial diagnostic assessment with The Tutoring Center, Santa Clara, CA by calling (408) 816-7825. During your first visit, you can ask a trained learning professional any and all questions you have about the benefits of tutoring in Santa Clara, CA and how one-to-one tutoring sessions can benefit your student.